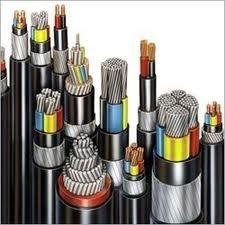 Backed by our in-depth industry expertise, we are manufacturing and supplying a comprehensive range of Electrical Products, Earthing Materials Cables, Wires and Light Fixtures and also Electrical Switches. We also provide a wide range of Pole Boxes Electrical Switchgears, MCB Distribution Board, Light Emitting Diodes, Electrical Material, Binding Wire and Cable Tray and Raceway to our clients as per their requirement. These are manufactured using premium quality raw materials, which are procured from certified vendors in the market. Our organization also has tie-up with certified vendors such as Wipro, Philips and Crompton to meet the individual requirement of our clients in the best possible manner. We are backed by a team of highly experienced professionals who are committed to offer highly finished products to our clients with maximum satisfaction. Furthermore, we have developed a wide supply chain network across the globe to meet the bulk demand of our clients within the committed time frame.